Winnebago’s Iluka motorhome is the essence of class and relaxation. 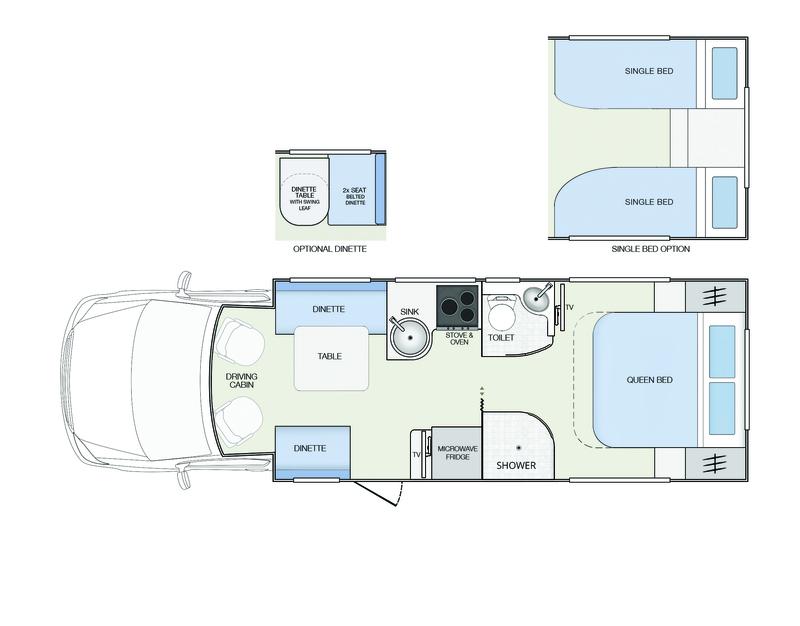 The Iluka features a thoughtfully designed large rear bedroom, allowing easy access to the north/south bed. The fully equipped kitchen is detached from the bedroom by a separate shower and toilet on either side of the motorhome. Built on the impressive IVECO 50 Daily platform, the Iluka model sleeps up to four travelers. Customise the Iluka to your style with optional single bed layout as well as optional dinette configurations. 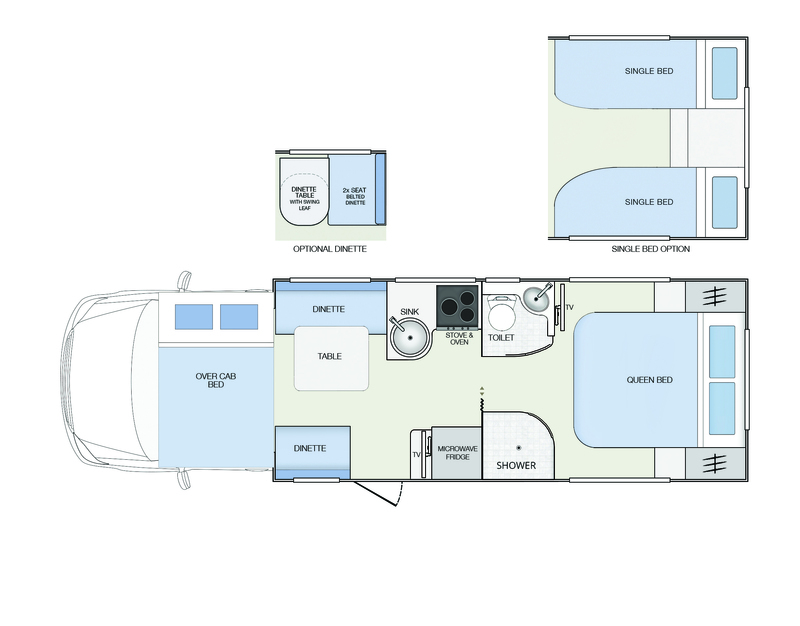 This much sought-after layout will have you entertaining, travelling, and sleeping in a world-class ‘hotel on wheels’.